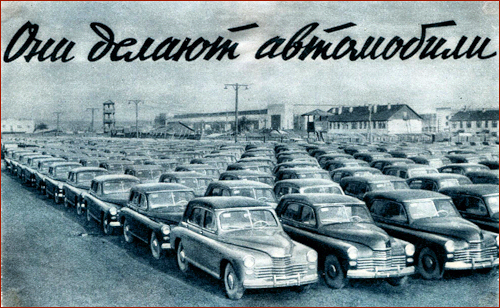 SPIRITED OUT OF RUSSIA by way of Finland, the Pobeda (Victory) is an excellent example of current Soviet automobile production. 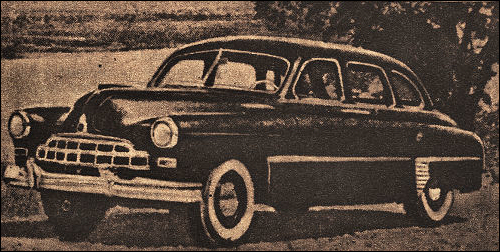 Owned by Mr. Stanley F. Slotkin of Los Angeles, the car has created much interest every time it made a public appearance. 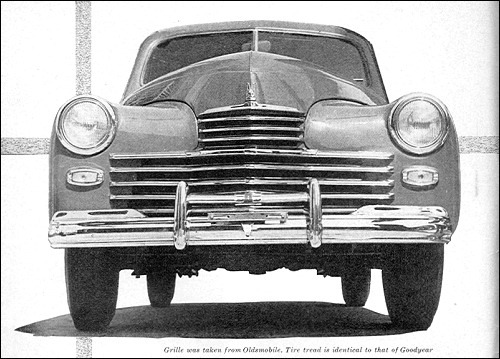 The greater portion of the engine's basic design stems from a pre-war, four-cylinder engine built by Continental Motors in the U.S. 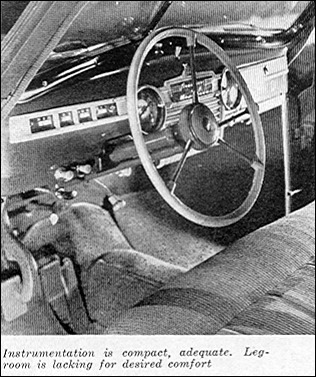 It develops 50 horsepower at 3600 rpm and has a top speed of about 65 mph. 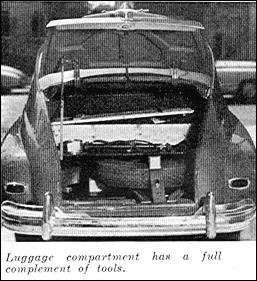 The car weights 3000 pounds and will obtain around 30 miles to the gallon of gas. 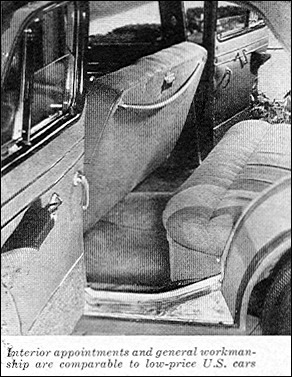 The chassis follows current American practice with coil spring independent suspension on the front and leaf springs in the rear. 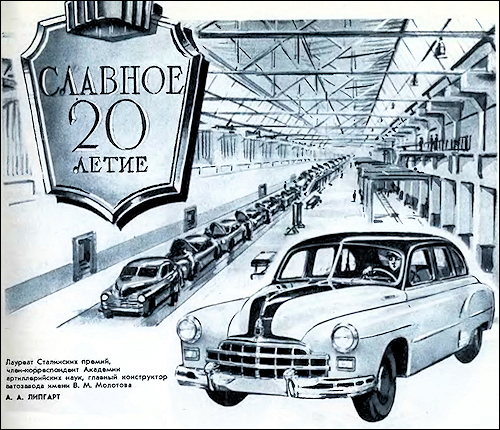 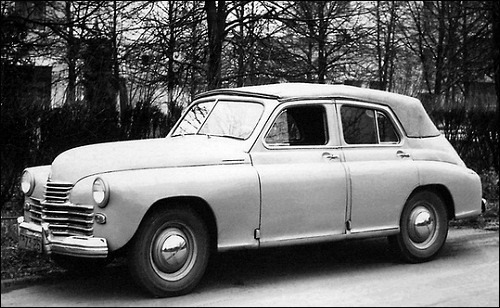 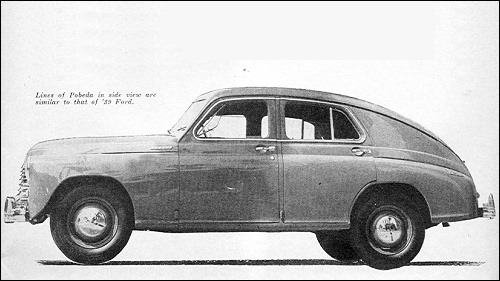 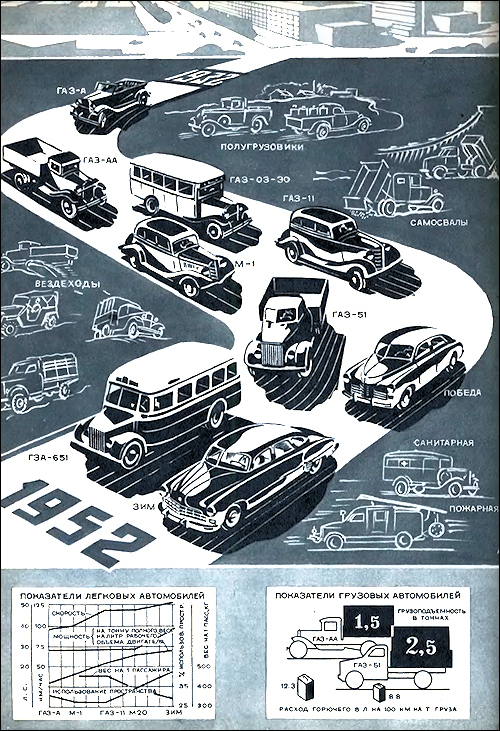 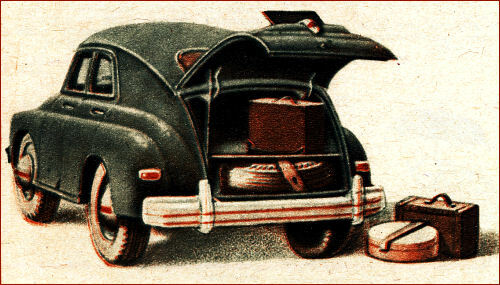 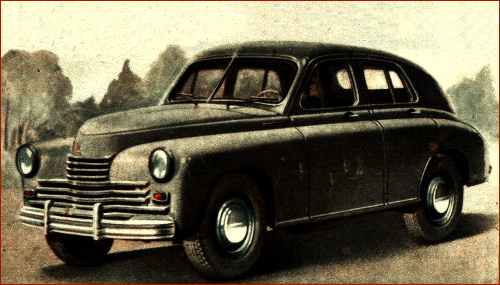 Production of this car is limited and the Pobeda is available only to a few of the Soviet elite although they would like to have you believe that everybody in Russia owns one. 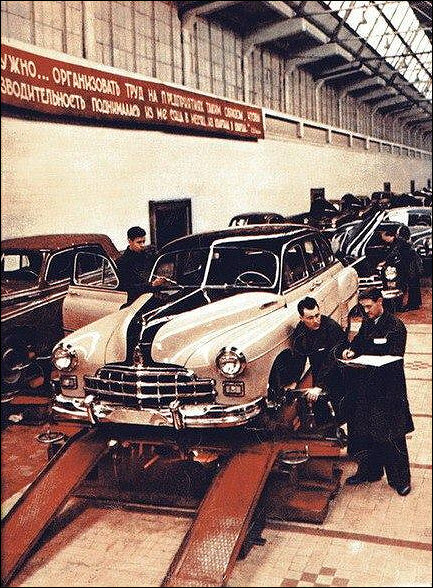 wb: 3200 mm 6 cyl. 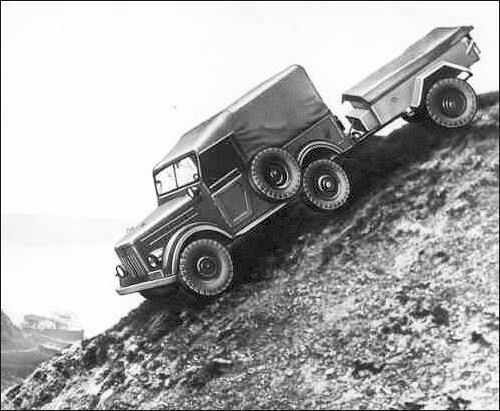 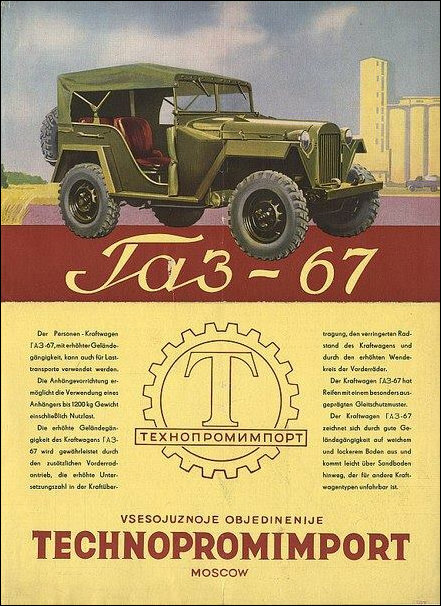 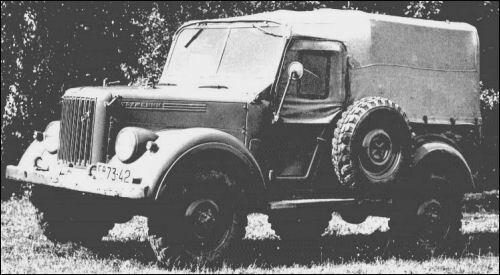 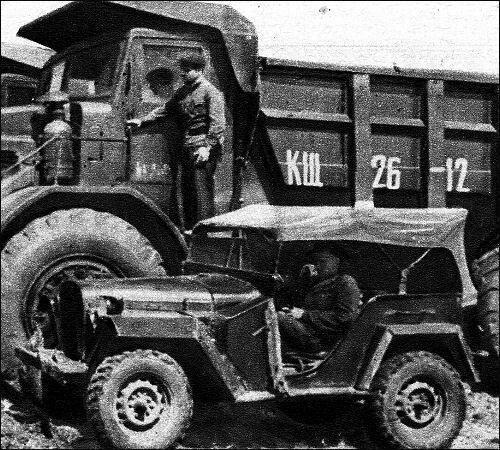 GAZ 69 “Trużelnik” - pre-production prototype. 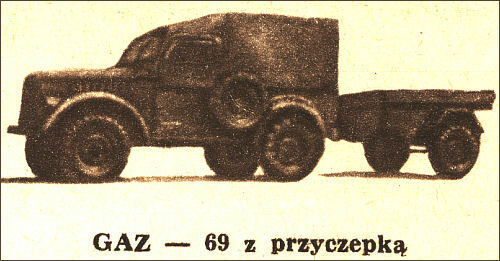 GAZ 69 – zdjęcie z grudniowego numeru “Motoru”.